You look like you need an end-of-summer slushie. Luckily, I made you one! In the form of a coconut limeade cooler. It’s refreshing and frosty and perfect for whatever the heck you are doing for this unofficial-end-of-summer long weekend. And especially if you can’t have a huge icy glass of sangria. This is sort of like a slushie/frozen non-boozy margarita hybrid. So limey but also so coconutty. You can make your own limeade or use a bottled one and turn this into the perfect treat for the weekend. Oooooh frostys. Have not had an actual one of those in years (like maybe ten? fifteen?) but one sounds sort of good right now. With fries dipped in it! But wait… would you dip your fries too? So! I used the canned coconut milk here, like the real deal, for extra creaminess. I wanted that almost-ice cream factor! This is too delicious for words. It’s a drink but also dessert but also a refreshing summer snack. It’s all the things. While my mind is still blown that it’s nearly Labor Day, I think we can all agree that we need a bunch of delicious things to eat this weekend. What are your plans? Do you have any fun traditions? Planning any BBQs? I’m all about these BBQ havarti burgers with curly sweet potato fries or my real favorite mushroom and Dijon aioli cheeseburgers. So much flavor. Not sure if we will be grilling or what, but a burger will definitely be on the menu. Especially since I ate a million lobster rolls last week. Oh oh oh and how about some white pizza dip for your party? Hello delicious. Insanity. And puhlease tell me that you have made and are going to make the watermelon frosé this weekend if you don’t have a bun in the oven like me! It might be your last warm weather chance. Otherwise, it’s coconut limeade all the way. To make the limeade, stir together the simple syrup, water, lime juice and lemon juice. 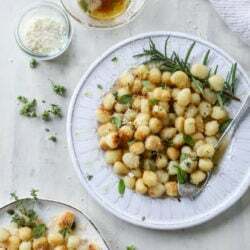 Taste and add more sugar or lime juice if desired. 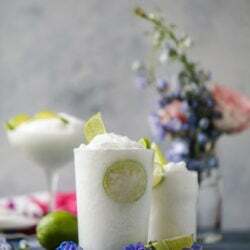 To make the slushies, combine the limeade, coconut milk and ice in a blender and blend until you have an icy consistency. Fill a glass with the slushie and top with a few lime wedges or slices. Enjoy! I mean if it looks like a margarita, you may as well add tequila! I’m 20 weeks pregnant today and this is what I will be drinking this weekend! I miss margaritas so much! thanks so much kelly! congrats! thanks taylor! yes yes, please do! A perfect labor day bbq drink!! Love it. I’m excited for your cocktails to return after the baby, but you have been killing it with the nonalcoholic drinks! Thank you for all of your hard work!